Are More Tank Cooldowns the Solution? There has been a lot of talk in the community about Shamans and Druids getting a cooldown… a lot of talk. First, want to be very clear that this article is not intended to play into this whole one class being superior to another debacle that many forums (I’m looking at you Blizzard Forums) gets into. Nor it is about saying that one class does or does not need something. One thing that we all need to remember, and I think is often forgotten when class balances/revamps occur, is that we are a healing team; and it ultimately is about working together as a unit not about one person being the hero of the fight. The Shaman cooldown seems to be a raid-wide “reset”; with a minor (10%) damage mitigation while the reset occurs- I do like this design and set up. (even though I think I’m going to go “WTF just happened? !” the first time I see my Grid adjust when it is used). I’m glad to see that Spirit Link has made its way back into the game since it has been something that Blue has been trying to work in since the TBC beta; and now its a very unique ability. Onto the druids… There has been a good deal of speculation if the Tranqulity change (via Malfurion’s Gift) is the cooldown change. (Some of which is favorable of the change, others being less so…). I’m not sure if Tranq needed this strong of a buff… especially in light of how much more powerful it is when compared to Divine Hymn. Druids have been very vocal about wanting a cooldown. 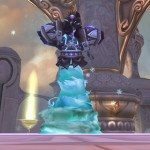 There is no denying that a Druid’s toolbox is fairly sparce when it comes to what buffs and benefits they bring to the table… (why they don’t have an Inspiration/Ancestral Fortitude talent of sorts is beyond me!) While, yes, Druids have always been the raw healing throughput machines they’ve always been, and some have tried to argue that Nature’s Swiftness is an external CD of sorts (sorta, but not really), healer homogenization is a theme this expansion and balancing around that needs to occur. Is just adding a tank cooldown the best solution? Is just a band-aid of “make Barkskin castable for resto druids” the answer? 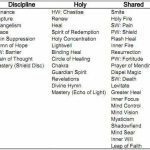 I’d much rather see a CD that is unique to Resto Druids, and leverages their existing strengths over a clone of Guardian Spirit or Pain Suppression. 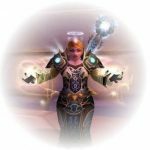 How do you take something that is very quintessential Druid, and make it powerful enough (but not too OP) to be a viable cooldown? Is Blizzard trying to do that with Tranquility? Maybe… I am assuming Blue is struggling trying to find the appropriate balance. Some of the druids in the community, inclusive of someone I respect, (Lissana) feel that a damage reducing ability is a possible solution. Tank cooldowns need to be very carefully balanced. Adding another class with access to a cooldown is going to force a devalue of the other CDs. Balance will be needed, otherwise you could easily see a raid (moreso on 25s than 10s) with the ability to have extremely high uptime of tank CDs. Between the tank’s trinkets, personal CDs (Last Stand, Shield Wall, Divine Guardian, Survival Instincts, IBF…), existing external CDs, and then adding another set of external tank CDs, it could very well cause an issue for encounter and raid balancing. 1. Increase the CD to a longer period, to something like 5 minutes. 2. Cause a debuff on the target making them immune to future CDs for X seconds. Yes, this is much more of a concern and area of abuse for 25 Man raiding… it doesn’t answer the problems that some 10 Man raids have: no external CDs. What if your raid has no external raid CDs? Giving druids an external CD will really open up the flexibility to 10 Man raids and prevent 25 Man guilds (though I think its foolish for a RL to do this) to only bring classes with external CDs. Druids are, and always will be, strong raw healers. Is giving them Tranquility on a much shorter CD the exchange for not having an external CD? Perhaps. But it doesn’t answer the concerns the Druid community has had regarding equality and viability in every raid environment. Hamlet over at EJ did a very well thought post discussing this concern. What does everyone else think? How would you suggest balancing these cooldowns? Do these cooldowns need balancing? Why? Why not? I’m not sure how this one will pan out– and I am sure we’re going to see many more patch notes before 4.1 goes live answering a lot of the questions the healing community has. Frankly, if the devs leave everyone thinking the grass is greener on the other side, they may have balanced it right.